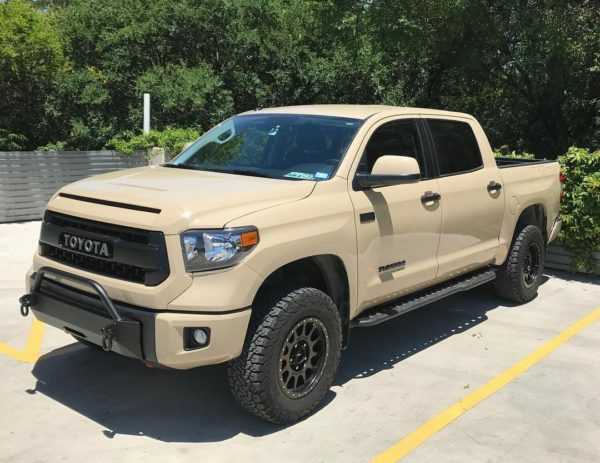 The Tundra slimline is low on weight but big on brute strength. 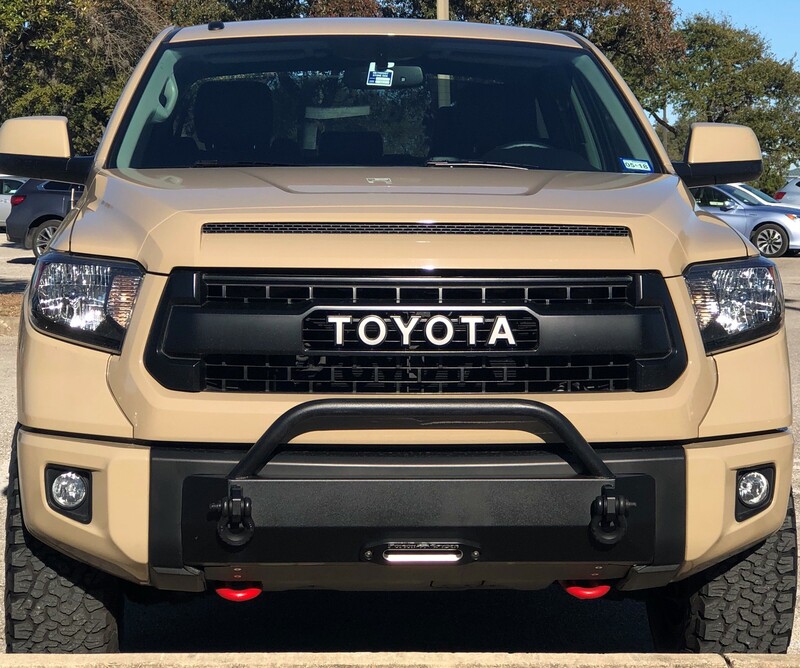 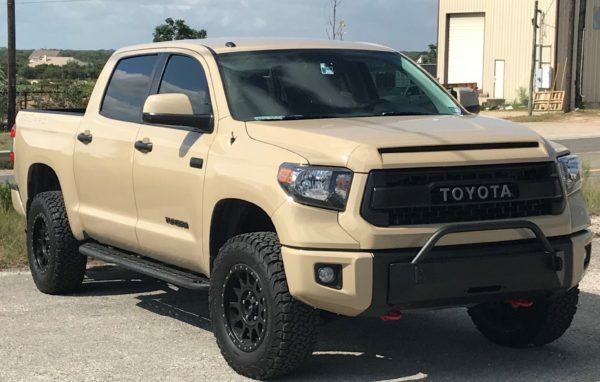 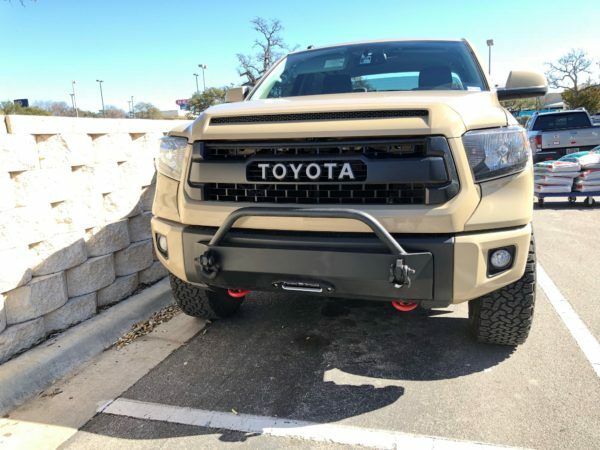 This design, utilized in the 4Runner and Tacoma slimline, has been tested all over the world in the harshest environments. 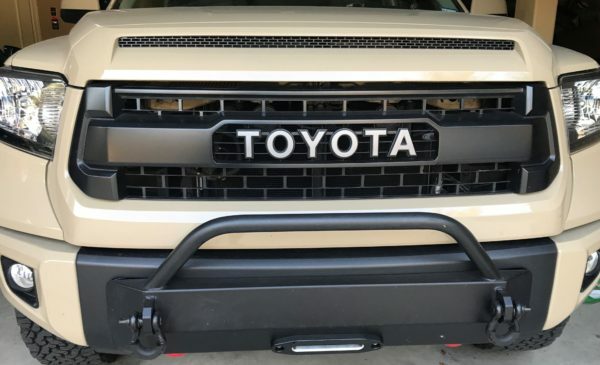 They are constructed of 3/16″ steel for the winch plate and a 1/8″ steel face to save weight. NO winch access holes in face of bumper. Bumper made to pair with WARN Xeon Platinum wireless winch exclusively.